Find Christmas crafts, Christmas craft projects and winter crafts for kids here. Come Christmas and we start spending a large amount of money on gifts for friends, relatives and family members. As you step into the market during the holiday season, you can see lots of commercialized products for gifting purpose, which are very expensive and mostly not at all useful. In case you dont know it, you can save money and give a much better and useful present to your loved ones, by involving your time and energy in some Christmas crafts. Apart from saving money, this will help you make your bonding with the recipient much stronger, as the handmade gift will show emotional attachment on your part. He/she will love the fact that you have put in your own time and efforts for making the gifts especially for him/her and will treasure it. Making craft for Christmas also give you the perfect opportunity to spend quality time with your children. You can make beautiful Christmas candle arrangements, gift wraps, homemade ornaments and even Rudolph and snowman, to give as gifts to others as well as to use as a part of Christmas decorations. As you display the homemade Christmas crafts in front of your family members and friends, they might also get motivated to make some at home. 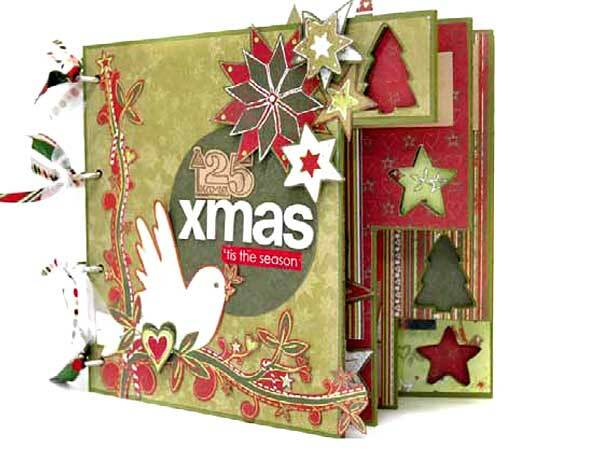 In our related section, we have covered some of the easiest crafts based on Christmas theme. We have carefully included arts and crafts that are inexpensive in nature, made of the materials that are easily available in home only. If you are going for a house warming party and are confused about what present to give, a beaded wreath would be one of the perfect options to go for. Though a bit more expensive than the other bead crafts, the wreath looks quite original as well as extremely beautiful. Working with wax as a hobby can be fun and can be profitable, as they can make beautiful, yet inexpensive gifts. Candle making is not difficult for a beginner to learn. It only requires little creativity. You can anytime melt the wax down and start over, for this craft.